A World class RCIA program- at your parish or campus! Each year, pastors and catechists face the challenge of welcoming new Catholics into the Church, yet few resources are available to help them introduce the Faith in a comprehensive way. The Dominican Friars and the Thomistic Institute in Washington, D.C. developed this groundbreaking RCIA video program that carefully teaches catechumens the key tenets of the Faith. The accompanying guide book walks candidates through the course, introduces them to the treasures of the Catholic faith, and is a valuable reference during their formation and beyond. Credo includes sessions for Mystagogy, the often neglected period of discovery after catechumens are received into the Church. Plus, powerful interviews from recent converts allow catechumens to hear from their brothers and sisters who have already completed their journey through the Church’s door. This complete and customizable program works with any level of current RCIA engagement. Use it as a supplement or make it the core of your RCIA. Fr. Raymund Snyder, OP, serves as a parochial vicar at St. Patrick Parish in Columbus, Ohio. Prior to serving in Columbus he worked for the Thomistic Institute as the promoter for student leadership and oversaw the composition of the Credo RCIA program. He studied philosophy and classics at the University of Norte Dame and entered the Order of Preachers in 2010. He holds an STB and MDiv from the Dominican House of Studies and a licentiate in philosophy from the Catholic University of America. His academic interests include metaphysics, participation, and the theology of grace. Fr. 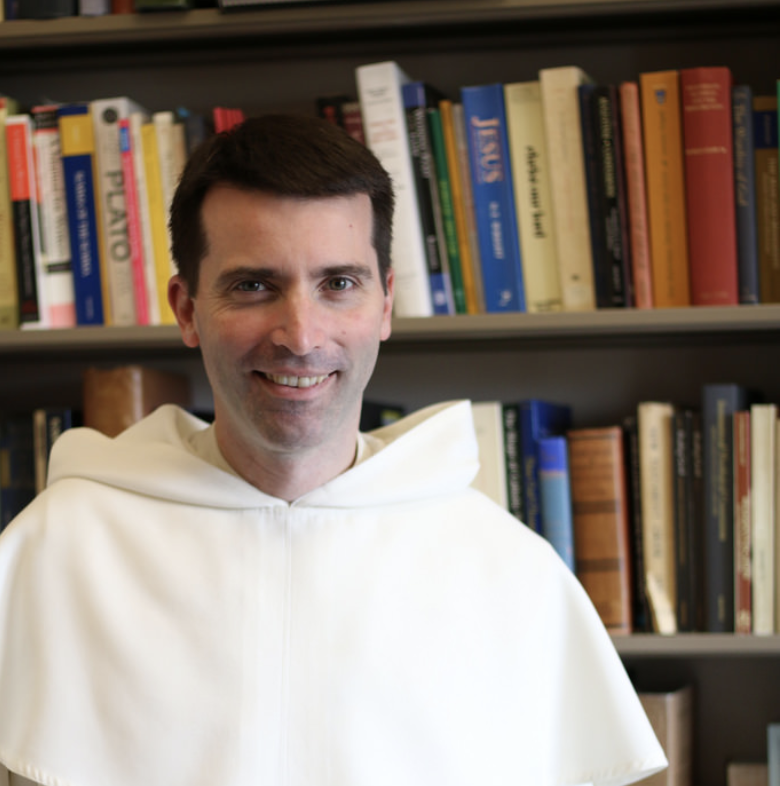 Thomas Joseph White, OP, is the director of the Thomistic Institute at the Angelicum in Rome. Originally a native of southeastern Georgia, Fr. White studied at Brown University, where he converted to Catholicism. He did his doctoral studies at Oxford University and is the author of The light of Christ: An Introduction to Catholicism, Wisdom in the Face of Modernity: A Thomistic Study in Natural Theology, The Incarnate Lord: A Thomistic Study in Christology, and Exodus. He is co-editor of the academic journal Nova et Vetera and, in 2011, was appointed an ordinary member of the Pontifical Academy of St. Thomas Aquinas. Fr. Dominic Legge is the Director of the Thomistic Institute and an assistant professor in systematic theology at the Dominican House of Studies in Wahsington, D.C. he holds a JD from Yale Law School, a PhL from the School of Philosophy of the Catholic University of America, and a doctorate in Sacred Theology from the University of Fribourg. He entered the Order of preachers in 2001 and was ordained a priest in 2007. He practiced law for several years as a trial attorney for the US Department of Justice before becoming a Dominican. He is the author of The Trinitarian Christology of St. Thomas Aquinas. Fr. Gregory Pine, O.P. serves presently as Assistant Director of Campus Outreach for the Thomistic Institute. He served previously as an associate pastor at St. Louis Bertrand Church in Louisville, KY where he also taught as an adjunct professor at Bellarmine University. Born and raised near Philadelphia, PA, he attended the Franciscan University of Steubenville, studying mathematics and humanities. Upon graduating, he entered the Order of Preachers in 2010. He was ordained a priest in 2016 and holds an STL from the Dominican House of Studies. Fr. Aquinas Guileau, OP, is the prior of the Dominican House of Studies in Washington, DC, where he also teaches moral theology. He obtained his doctorate from the university of Fribourg (Switzerland), defending a dissertation on St. Thomas Aquinas's doctrine of the common good. Fr. Guilbeau has also worked for various Catholic media, including Aleteia.org and EWTN Radio.